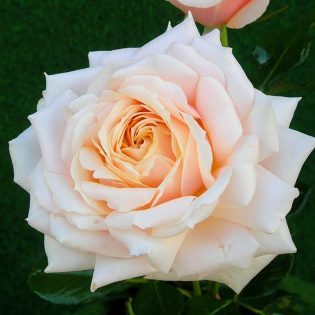 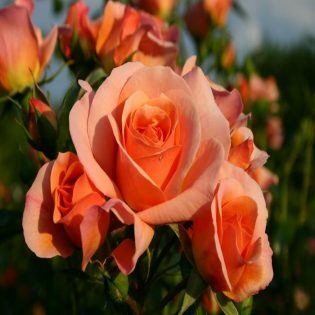 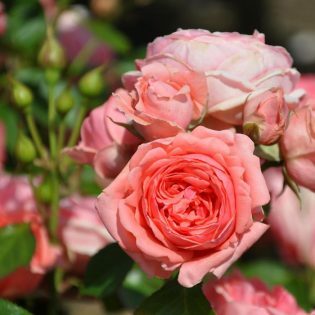 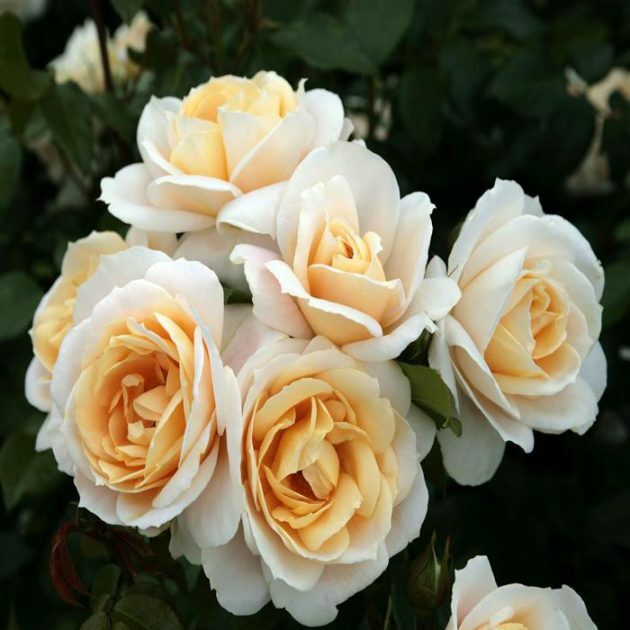 Another Fairy Tale variety to be awarded ADR, Kordes Floribunda Lion's rose has a medium, bushy, upright habit and bears soft ivory white flowers with an apricot pink center in small clusters throughout the season. 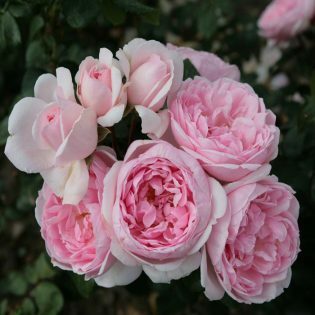 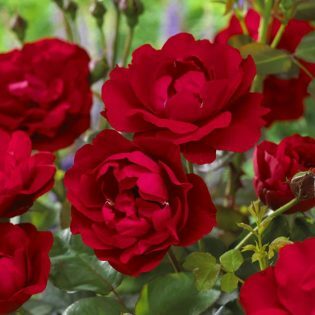 It has mild, sweet fragrance and attractive glossy, dark green foliage with a high degree of disease resistance. 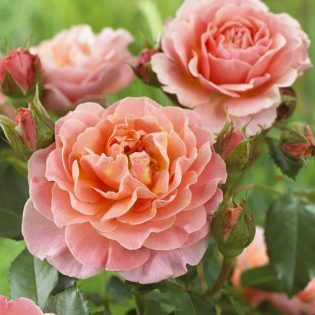 The long-lasting blooms make great cut flowers. 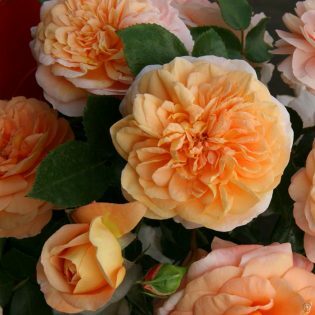 A great variety that can be used for beds, borders and containers.